You have heard the slogan "Everything is bigger in Texas” – Texas is the second-largest state (after Alaska), is actually bigger than France. Before Texas was a state, it was a Nation, thus the nickname The Lone Star State, originated from the star on the 1836 flag of the Republic of Texas. And our home for five wonderful years! 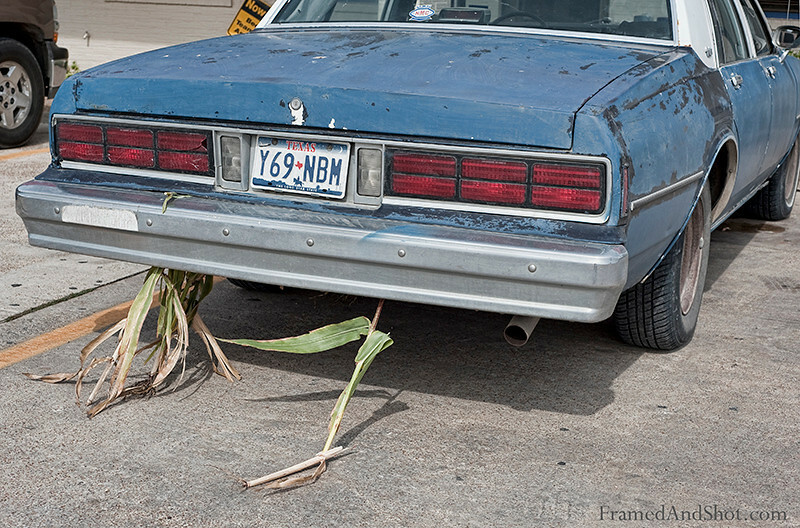 you have corn stalks stuck to your rear fender. We thought this was amusing, a beat up old car having driven across the fields to get to the local hang-out…..